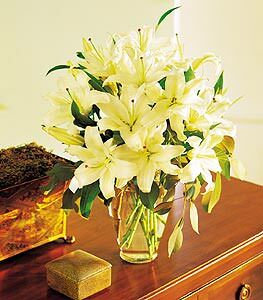 These gorgeous white lilies are so classically elegant, theyre sure to turn any occasion into an idyllic one. Perfect for special days or every day. White lilies with eucalyptus arrive in a stylish clear glass vase.